For more information about the Brighton at Silver Ridge Maple Ridge townhomes for sale, click here. For additional details regarding the award winning Portrait Homes Silver Ridge Maple Ridge real estate community, please click here. This is a special announcement from Silver Ridge Maple Ridge community by Portrait Homes. The first release of Silver Ridge Stoneleigh single family rowhomes are now available in the Maple Ridge real estate market. Featuring a new collection of single family residences, these special Maple Ridge Silver Ridge rowhome designs are now available for purchase in the award winning Maple Ridge real estate development by Portrait Homes. Here are some incredible features that the marketing team has released: Each of the new single family Maple Ridge Stoneleigh Silver Ridge floor plans will provide the many benefits of single-family living and are attached via a party wall with great sound buffering. Each of the new Silver Ridge single family homes will offer the same high level of interior finishings as provided on our other range of Maple Ridge single family homes. 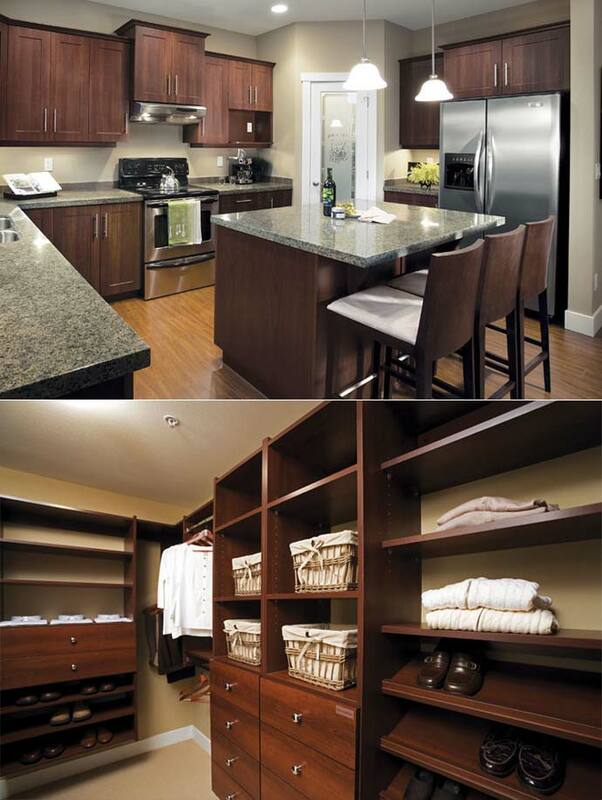 Each of the floor plans are actually attached rowhome residences, but there are NO strata fees. The floor plans of the new release of Stoneleigh at Silver Ridge single family homes have a finished square footage of over sixteen hundred square feet and most layouts will have three spacious bedrooms and 2.5 baths. In addition, each of these Stoneleigh Maple Ridge homes will also offer unfinished basements of over 380 square ft in size, which you can finish and use as a home office, extra bedroom/bathroom or a recreation room for your family at a later date. Lots of storage in suite as well as double attached garages are also signature features by Portrait Homes here at the Silver Ridge Stoneleigh Single Family Homes for sale in the Maple Ridge real estate market. In addition, the pricing and standard features includes all of the following: garage opener with 2 remotes, full landscaping outside by professionals, taller standard cabinets with crown mouldings and also granite counters in the kitchen and island. Also included as standards in the new Silver Ridge Stoneleigh single family Maple Ridge homes for sale are washer/dryer and stainless steel appliance set. The first release of the pre-construction Maple Ridge rowhomes at Stoneleigh at Silver Ridge community are affordable and start from just $409,900! These are pre-sale prices and won’t last long! 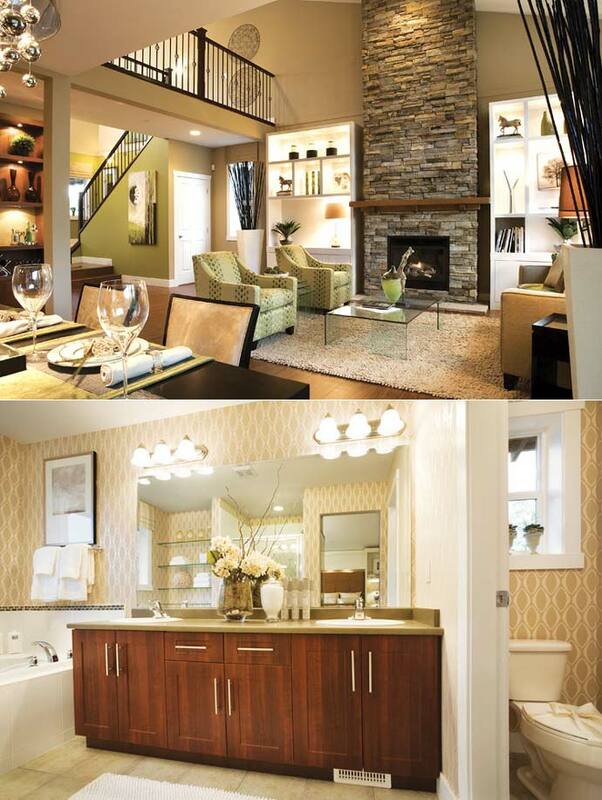 Even more exciting is the special incentive we have on the first release of Stoneleigh rowhomes at Silver Ridge. Each of these pre-construction Maple Ridge rowhomes, including all of the items and features mentioned above, will also receive a special $10,000 pricing discount on the first few Stoneleigh at Silver Ridge rowhome sales…which means that our starting price for these beautiful designs is actually as low as $399,900 (plus applicable taxes). Please refer to the attached detailed Silver Ridge site plan to see the locations of the following Maple Ridge Stoneleigh rowhomes which are now available for sale: Birch floor plan: now available on Lots 58, 59, 60, 62, 63, 64, 66, 67, 68 and 69. Cedar floor plan: now available on Lots 57, 61, 65, and 70. If you would like to be among the first to secure one of these beautiful Maple Ridge row-homes, at pre-completion pricing and including the many features and bonus incentives mentioned above, please visit us at the Stoneleigh at Silver Ridge sales center, located at 13851 232nd Street, Maple Ridge, B.C. For further details, please feel free to contact the Portrait Homes sales team for these new Maple Ridge Stoneleigh rowhomes directly at 604-466-9278. Building Award-Winning Communities for Today…and for Years to Come – Sales Center Open Daily from 12 Noon to 5:00pm. Please Note: All Prices and Promotions are Subject to change without notice. E & O.E. Prices, Availability and Promotions here at the new Maple Ridge Stoneleigh at Silver Ridge rowhomes for sale are effective as of April 23rd, 2010. There are 2 new Silver Ridge floor plans released by Portrait Homes that includes the Birch Layout which is three bedrooms and 2.5 baths. The Birch Floorplan at Silver Ridge Maple Ridge real estate development features 1642 square feet of finished living space in addition to an unfinished basement that has a store room and a double attached garage. The main level is 849 sqft and features a the open kitchen, dining space powder room, den and great room with fireplace. The upper level of the Birth Floorplan at Silver Ridge Stoneleigh single family rowhomes has the three bedrooms, master ensuite with double vanities, shower and a walk in closet in addition to a second bath and laundry closet. The second layout is the Cedar Silver Ridge floor plans that features 1648 sf plus the unfinished basement again with a double garage and storage space. The main level is 852 sf and features a more open concept floor plan with corner kitchen/island, nook (breakfast), dining space and great room plus powder room. The Cedar floor plan at the Maple Ridge Stoneleigh rowhomes at Silver Ridge community features a very similar layout for the upper level compared with the Birch floorplan. Special pricing is now on for only 90 days! This is the pre-Canada Day sales event here at the Portrait Homes Stoneleigh at Silver Ridge single family home lots release. Even with rising interest rates, high construction costs and the looming HST Tax, Portrait Homes continues to offer hoembuyers unprecedented Maple Ridge real estate value and unbeatable incentives on the new release of Stoneleigh single family homes in Silver Ridge Maple Ridge real estate community. For the next 90 days, starting in April to June 2010, Portrait Homes is offering a special Silver Ridge Home Buying Package at the pre-Canada Day sales event with many features and pricing benefits that will facilitate and add value to your purchase at the Maple Ridge Stoneleigh single family home lots for sale. The latest release of Maple Ridge lots for sale include some of the finest home sites ever available within Silver Ridge Stoneleigh community. Plus there are also four beautiful display homes that are now open for viewing. Don’t miss this perfect opportunity (pre-Canada Day sales event) to get the best location for the best price. There has never been a better time to buy at Portrait Home’s Silver Ridge Maple Ridge community, which has been recognized with a total of 73 major industry awards for new home excellence in British Columbia! Winner of the Builder of the Year and again, the #1 Choice for Customers. The display homes for the spectacular new Maple Ridge Stoneleigh single family home lots for sale is located at 13851, 232nd Street, Silver Ridge community and is open every day from noon to 5pm. Again, the 90 day pre Canada Day Sales Event will help homebuyers secure a new Maple Ridge home for sale at an unbeatable price and at basement bargain interest rates before the HST tax comes into effect. With incredible home package incentives, the new Maple Ridge Stoneleigh homes in Silver Ridge community will be priced affordably from just $504,900 to $634,900 excluding taxes. The Single Family Homes at Stoneleigh at Silver Ridge will range in size from 1800 to 2250 square feet (approximate) and the Brighton at Silver Ridge townhomes will be starting from less than $300k (excluding taxes). The contact person for both the new Brighton Townhomes and Stoneleigh single family Maple Ridge homes at Silver Ridge is Troy. Award winning communities at Stoneleigh and Brighton at Silver Ridge Maple Ridge real estate market are brought to the market by leading builder Portrait Homes. Crowned as Best Builder in BC on numerous occasions, Portrait Homes provides unprecedented commitment to sales and marketing, customer service, exceptional quality standards in every home and an unwavering leadership to build sustainable and environmentally friendly homes. Here at the Silver Ridge Maple Ridge real estate community, Portrait Homes was just honoured as Builder of the Year along with the Customer Choice Award at the 2009 Georgie Awards. Yes, that’s right, the new Maple Ridge Silver Ridge communities of Stoneleigh and Brighton have been awarded by customers and homebuyers as the number one property development in British Columbia, again! Portrait Homes has just released some incredible single family lots at Stoneleigh at Silver Ridge Maple Ridge homes for sale. In addition, the pre-grand opening event at Brighton Townhomes at Silver Ridge are now being offered to VIP registrants. Combined, the Stoneleigh Silver Ridge single family lots and Brighton Silver Ridge townhomes in the Maple Ridge real estate market present the most affordable yet luxurious properties on the market brought to you by an award winning builder that focuses on value, details and fine finishes. The single family Maple Ridge homes for sale at the Stoneleigh at Silver Ridge real estate community are designed with a distinct Alpine Whistler architectural style for the exterior facades. Based on warm colours, custom river rock details and impeccable craftsmanship, the natural stained cedar beams presents great curb appeal for Maple Ridge homebuyers looking at the new release of Stoneleigh single family lots at Silver Ridge neighbourhood. In addition, these single family Silver Ridge home lots in Maple Ridge provide great backyard space for gardening or just a great spot for children and pets to play. The entire acreage at the Silver Ridge Maple Ridge real estate community features over 40% green space, making it a truly liveable and environmentally sensitive Portrait Homes development. The West Coast architecture of the Silver Ridge Stoneleigh single family lots blend seamlessly into the naturally environment that also includes the master planned bike paths, creek trails and much more. On the other side of the community, Portrait Homes features the new Brighton Townhomes at Silver Ridge Maple Ridge townhouses for sale that offer a great home for first time homebuyers. Featuring both two and three bedroom floor plans, these spacious Maple Ridge townhomes at the Stoneleigh Townhouses at Silver Ridge community offer layouts that are between 1223 sf to over 1600 sf, making these feel more like single family homes than traditional town homes per say. Right now, the Brighton at Silver Ridge community is celebrating it’s pre-grand opening launch with special pricing and townhouse releases before the public grand opening.